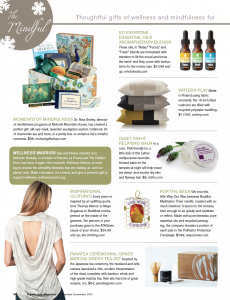 Congratulations to our Client ATA Clothing for their feature in Organic Spa Magazine! Great clothing isnâ€™t just about how it makes you look; itâ€™s also about how it makes you feel. All The Above Clothing is about more than just trendy designs; it is about inspiration.Â Each piece of clothing from All The Above Clothing takes a quote, lyric or phrase, and turns it into a unique and cryptic design.Â Each design contains elements that reflect the meaning of the quote, allowing the wearer to express a lot more than just an awesome fashion sense. The heart of ATA is to support charitable efforts by providing an additional platform and revenue stream to build awareness and capacity for worthy causes. ATA supports non-profits through the ATA Gives 10% and ATA Gives 100% programs. Express Yourself. Change the World. Check them out at www.alltheaboveclothing.com.